The term "born again" is not a new or contemporary term. It is an ancient term first used by Jesus Christ two thousand years ago. It's not a church or denominational title. Neither is it a strange sect. Jesus used this term to explain the experience that must happen to a person in order to make them a true Christian and to prepare them to inherit eternal life. Church ritual, baptism, church membership, confessional, mass, or a belief in God and Christ, does not make you a Christian. Jesus used the term "born again" in John chapter 3 when talking to Nicodemus - a very devout and religious man who was a Pharisees and a ruler of the Jews. He came to Jesus by night. He acknowledged that Christ was a teacher sent from God and that His miracles were genuine. In response to this acknowledgment Jesus answered, "Verily, verily, I say unto thee, Except a man be born again, he cannot see the kingdom of God" (John 3:3). 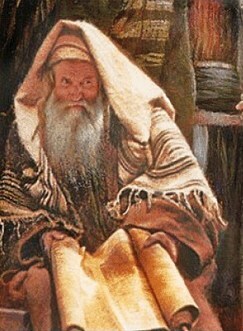 "Nicodemus saith unto him, How can a man be born when he is old? can he enter the second time into his mother's womb, and be born?" This is the very same thing that happens today. When most religious folk hear the term "born again" they respond in the same confused manner. Nothing has changed. Here is a man who knows the Bible. He is very devout. He is a religious man. Yet when Christ simply tells him that he MUST be born-again he responds by thinking of this term naturally. Of course he knows that a man cannot have a second natural or physical birth. He has attended synagogue all his life from a boy. He is good living. He is moral. But Jesus is telling him that he must be born again. With a confused religious man in front of Him who was trying to imagine a second physical birth Christ gave a further explanation. "Jesus answered, Verily, verily, I say unto thee, Except a man be born of water and of the Spirit, he cannot enter into the kingdom of God" (John 3:5-6). This experience of being born again only comes about by the "water and the Spirit." In the Bible water is most often a picture of God's Word the truth contained in the Bible. The Spirit He mentions here is the Holy Spirit. What He is saying is that the born again experience is not an outward physical ritual or church ordinance but a inward spiritual experience. The truth of God's Word and the Holy Spirit change a man inwardly. It is like an experience of birth. You were first born physically in order to live in this world. But you must also experience a spiritual birth in order to "enter the kingdom of God." Religion does not give you entrance to God's kingdom. Neither does church membership, good deeds, or water baptism. You must be born again. Jesus went further. "That which is born of the flesh is flesh; and that which is born of the Spirit is spirit." Your first natural birth only gave birth to the physical body. But you are not alive spiritually. You have not been born spiritually. Your parents gave you physical birth but only a real miraculous work of the Holy Spirit can birth you spiritually into the kingdom of God. "Marvel not that I said unto thee, Ye must be born again. The wind bloweth where it listeth, and thou hearest the sound thereof, but canst not tell whence it cometh, and whither it goeth: so is every one that is born of the Spirit." Those who have been born again, or born spiritually, are likened by Christ to the wind. Those who have been born spiritually look like every body else. You cannot see this spiritual difference. Yet there is an unseen power in these peoples lives that cannot be seen yet it is very evident. The whole New Testament is filled with individuals who were instantly changed from being sinners to followers of Christ by an instant miracle of God's grace when the Holy Spirit birthed them spiritually. In the Greek language, which the Bible is written in, this term "born again" means to be born from above, or to be born anew. It is a spiritual birth, a second birth, or a supernatural birth that comes from God above. This is how Christ, His disciples and His apostles thought and spoke about salvation. This was the normal experience of a Christian. A man or woman was not a Christian until they had a born again experience. Sometimes the apostles spoke of being "begotten" or "birthed" of God. James said, "Of his own will begat he us with the word of truth" (James 1:18). Peter said "Blessed be the God and Father of our Lord Jesus Christ, which according to his abundant mercy hath begotten us again unto a lively hope by the resurrection of Jesus Christ from the dead..." (I Pet.1:3). John frequently talked about Christians as those born of God, "ye know that every one that doeth righteousness is born of him" (1John 2:29); "We know that whosoever is born of God sinneth not; but he that is begotten of God keepeth himself, and that wicked one toucheth him not" (1John 5:18). It is evident from all these verses and many others that to be born again means a spiritual experience involving the Word of God and the Spirit of God, that changes you and makes you a real Christian. A born again Christian is someone who has experienced a life changing encounter with Jesus Christ. Someone who is born again is a Christian who believes the Bible. A born again Christian is a true disciple of Jesus Christ. A born again Christian is someone who has turned from sin to salvation. This has happened constantly for two thousand years in the lives of countless millions of sinners and it is still happening today. It is clear from this what Jesus meant. But the question is, Have you been born again and are you ready for death and eternity? If you have not obeyed Christ's command, if you have not experienced this instantaneous inward change of the heart, if you are not born again, then you are dead in your sins. You are outside of God's grace. You are not ready to meet God or to die.